Names. Everyone has one and they are a great way to get your learners engaged and introduced to so many skills and resources. 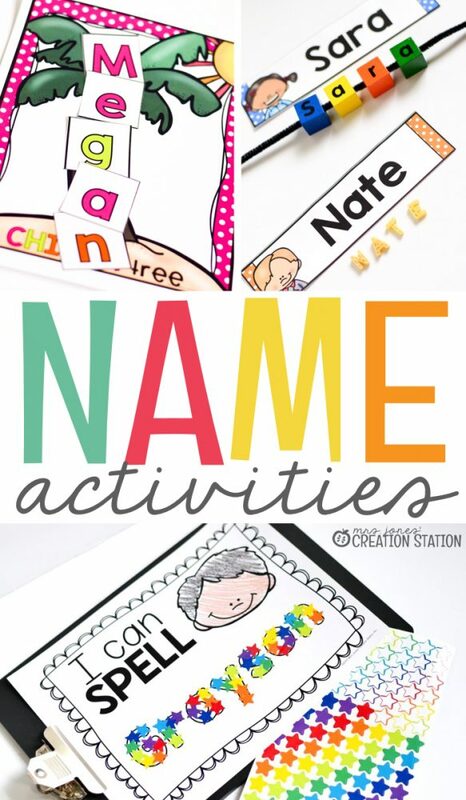 The start of every school year is a great time to pull out fun name activities for learners to enjoy. 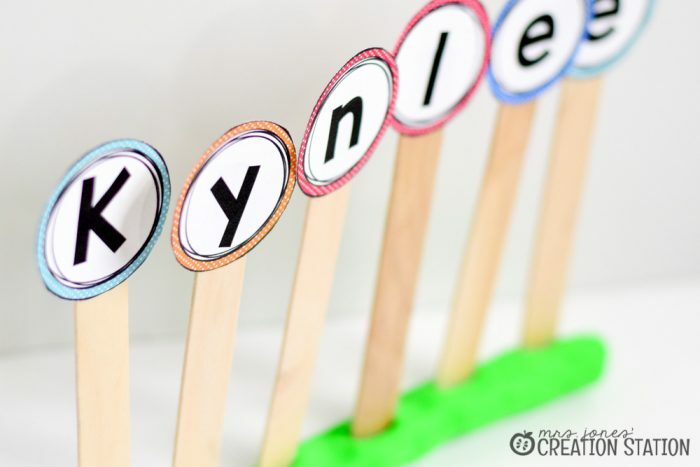 Hands on and fun name practice can be done with these popsicle names. Grab a tub of playdoh and make a roll. 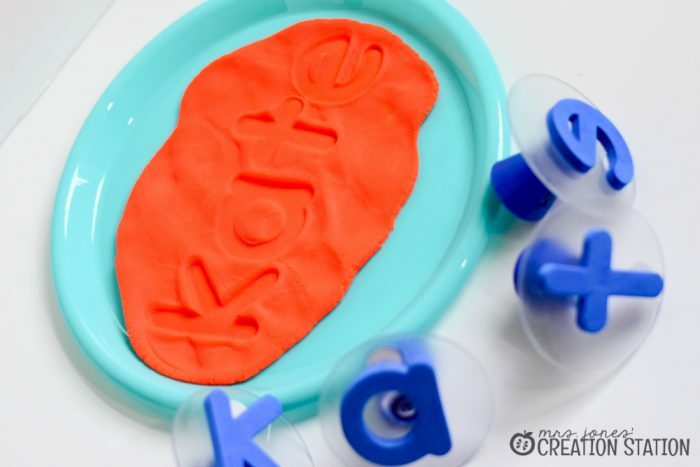 Have your learners place the letters of their name in the playdoh to help them learn how to spell and read their name. 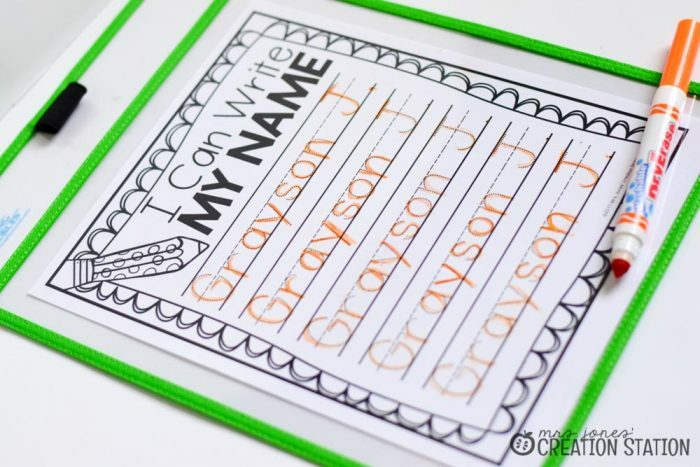 Extend this activity by having them make their classmate’s names, too! Using manipulatives to build their name is a great skill for learners to practice before they start writing their name. Seeing and feeling the letters of their name helps them to remember the order. This is so much fun with a special song for their name, too (you can grab that here). Tactile names are another prewriting name activity for learners to use. Stickers, glitter , rice, beans, sequins and so much more can be used to create a name they can trace with their finger to get that letter formation down! Don’t just focus on the letters in their name! Have learners sort the alphabet by letters in their name and not in their name. 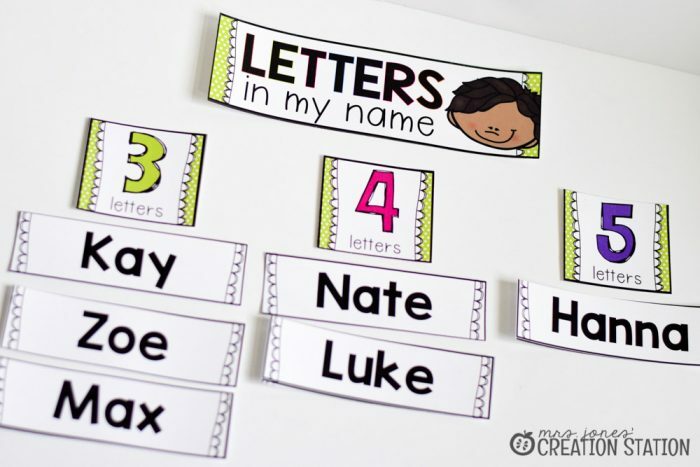 Provide a game for each learner as a warm up activity or place in a center with some name cards for them to practice their friends’ names, too. 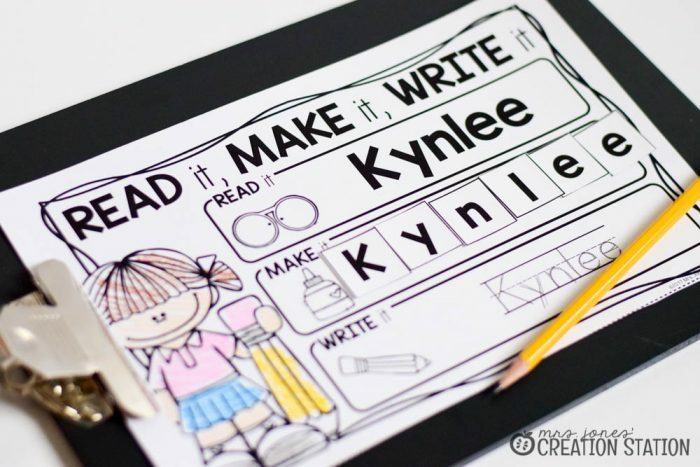 If you teach kindergarten you probably have completed a name graph with your learners a few times (and the book Chrysanthemum might have been involved, too). This activity is perfect for integrating math with name practice. Counting, sorting, graphing…so much in one activity! I know…playdoh again! But little ones LOVE it (and doing this as a warm-up at teacher table is a great way to keep your room clean, too). 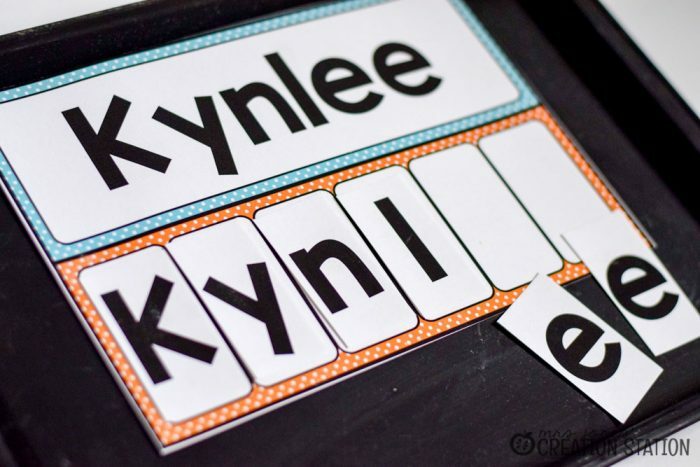 Grab some alphabet stamps and a plastic plate and have learners create their name…simple and fun! Fine motor fun and name practice? Yes, please! 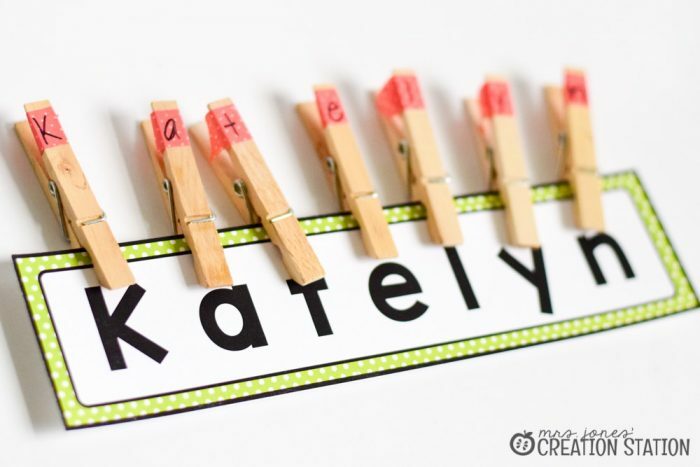 Write your learners name on a sentence strip or print a name card and have them form their name with clothespin . 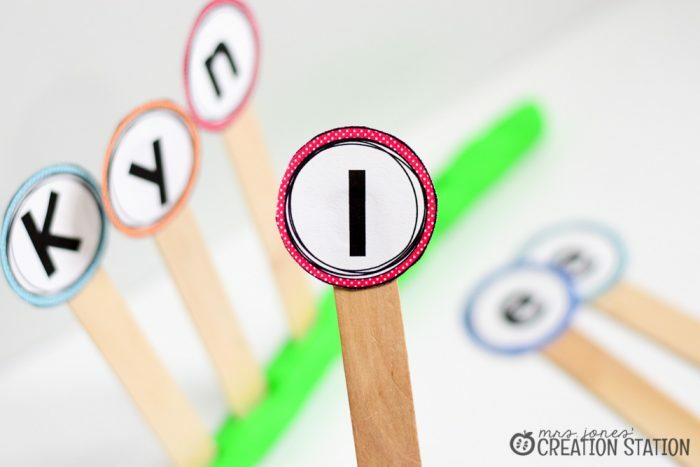 So easy to make, a great way to teach kiddos how to use clips throughout the year, and the they love it! I love pocket charts …I mean LOVE them! They keep centers organized and I can see what learners are doing while I work with my small groups. 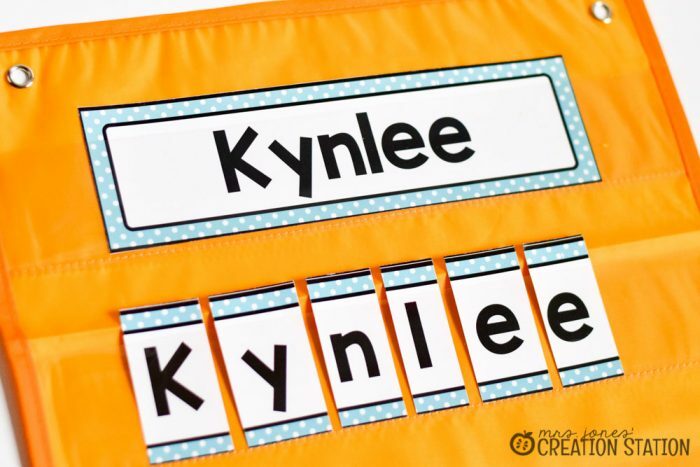 Have them build their own name and their friends’ names for a fun pocket chart center! Cookie sheet turned magnetic chalkboard is a great resource for the classroom, home, and on road trips (I might know from experience). 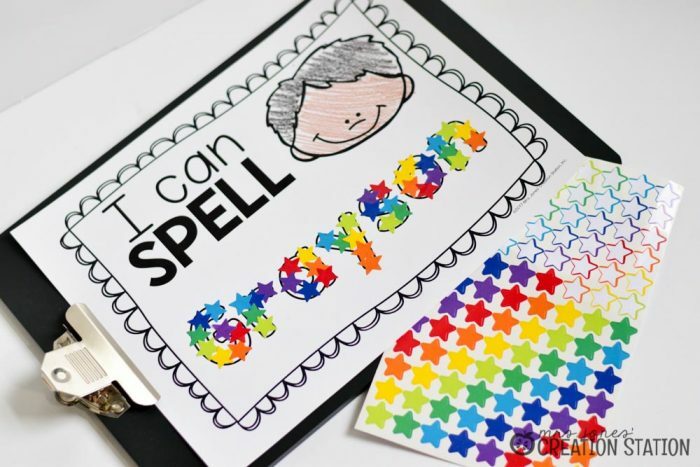 Use the magnet name activity in my name packet so learners can practice at a center, desk, or carseat! 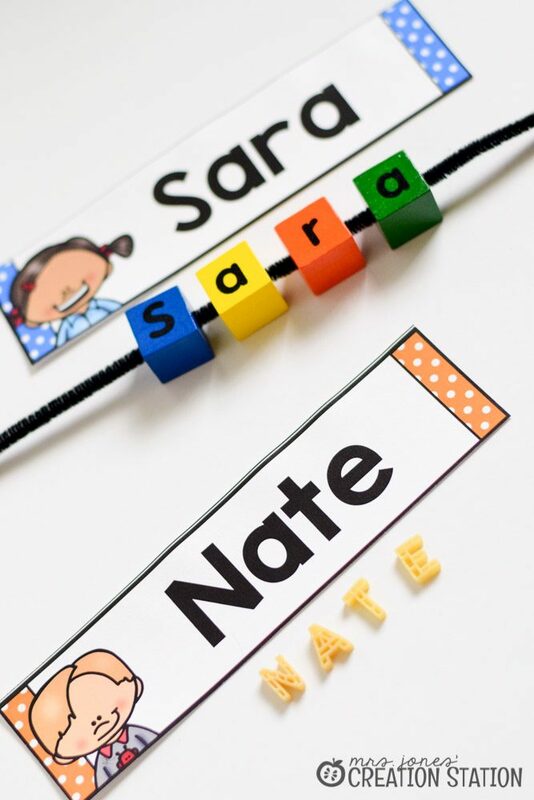 If your kiddos are learning their names they are probably needing some practice with glue and scissors, too. This printable is perfect to help your little ones practice everything! Reading, making, and writing their name with a little cutting and gluing practice, too! We spend the first week of school focusing on Chicka Chicka ABC during phonics. 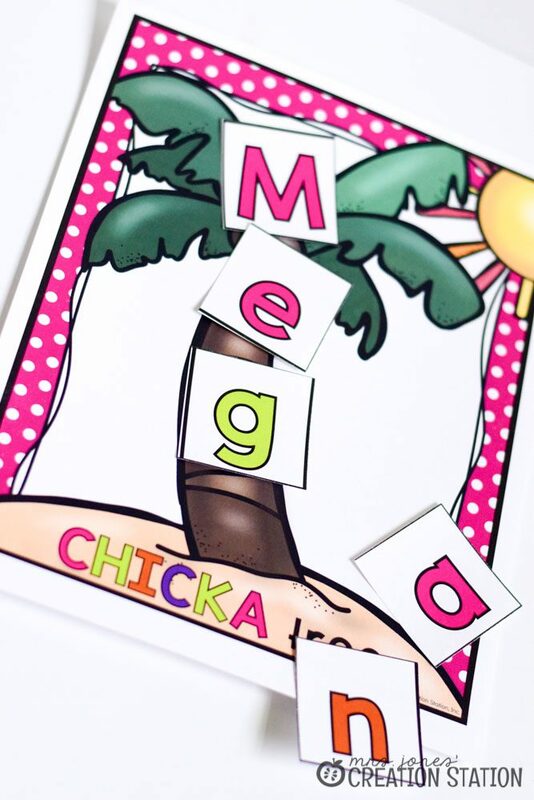 So creating some name practice Chicka-style is a perfect morning activity during the first week of school after they make their nametag necklace. 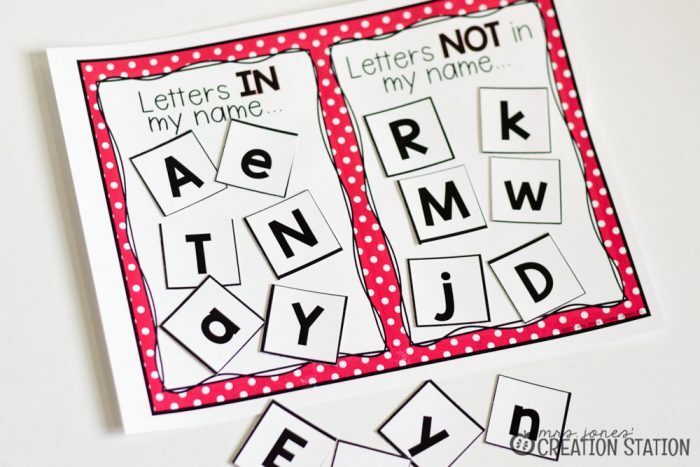 After a little practice, have your learners take their letter cards to make this cute craft. 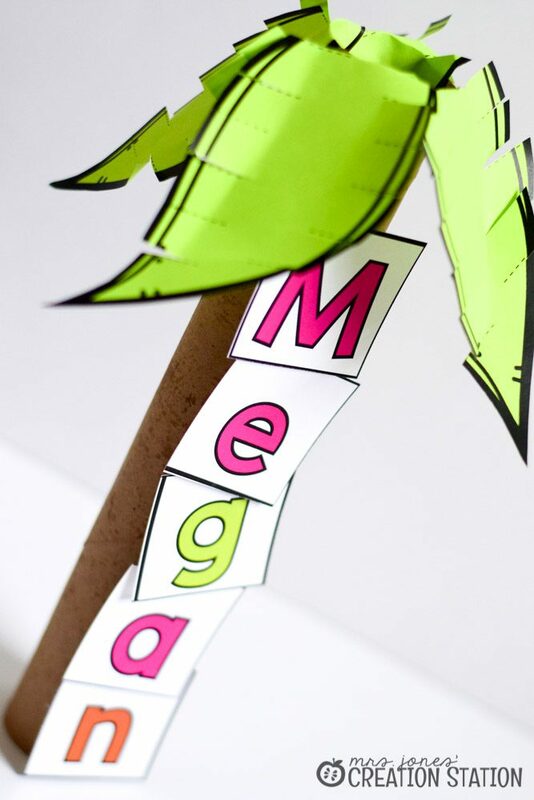 All you need is a paper towel roll, the printable in my name pack, and the letters they used for the activity above. Super cute! Need an editable tracing page? This one is perfect and so easy make for your learners. Grab a sleeve , WASHABLE dry erase markers , and the FREE printable in this blog post. Be sure to read the post for details on how to edit! This is probably my all time favorite activities for the beginning of the school year. 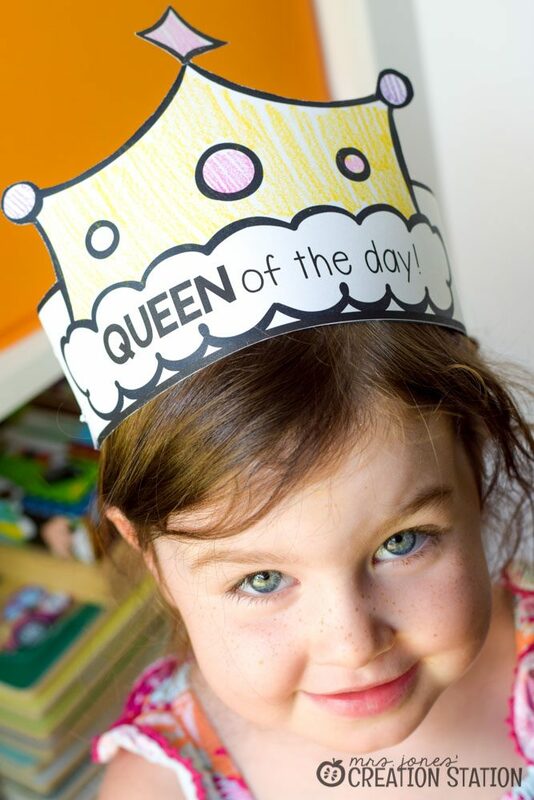 Before we start our literacy circle time charts every morning, we do King or Queen of the Day. I start by printing the kiddos’ name and letter cards when I am prepping all their labels in the classroom. 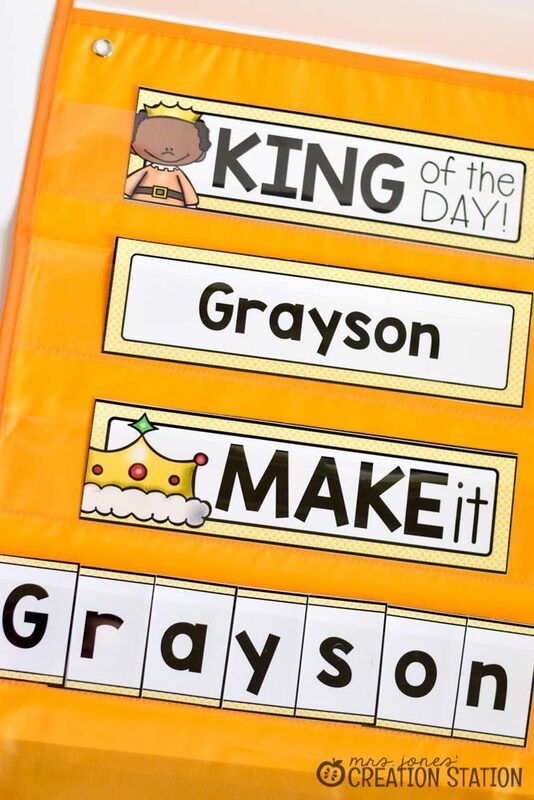 Then, I set the King or Queen of the Day cards on a pocket chart. Starting the second day of school until everyone has a turn, we work with every learners’ name. I simply place the cards in a tub and grab a new one each day…the surprise makes it so fun! You can find out all the details for this activity here! I hope you are able to use some of these ideas in your own classroom or home with your little learners. You can find all of the printables from this post and even more resources by clicking on the image below! I love all of these ideas!! Please tell me how to make or buy the blocks with letters on them!! Thank you for this wonderful unit! !